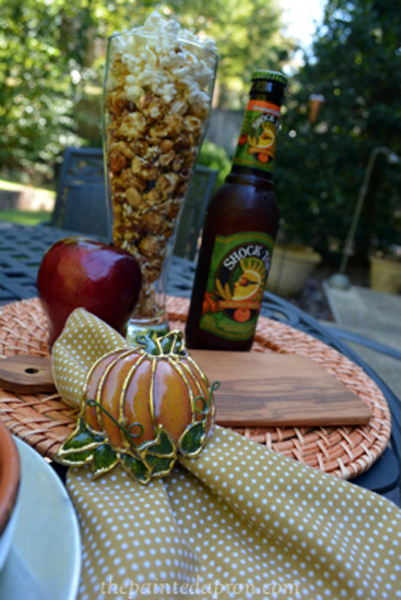 It’s almost October, so time to start thinking Octoberfest! Some of these “beers” are kid friendly! 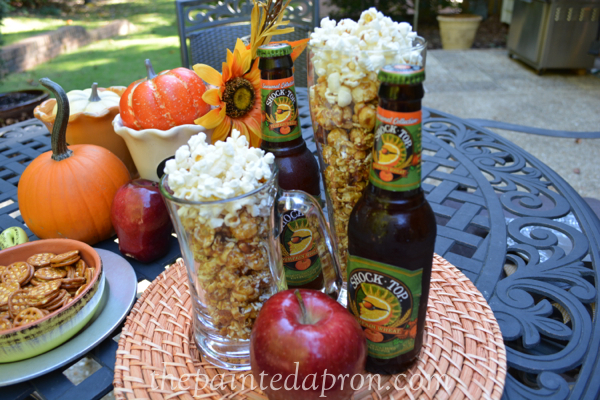 They are made with Cracker Jack and popcorn! It’s fun when you can eat the foam on your beer! or have a mug full of popcorn! 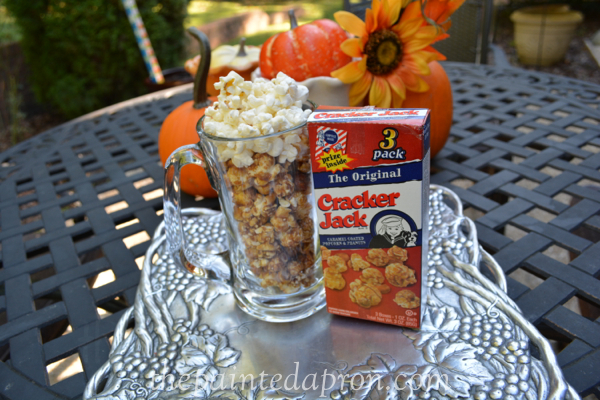 Have a Cracker Jack of a day! 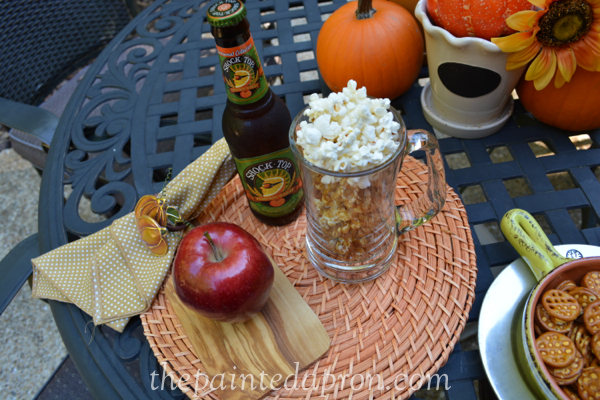 Wish I had thought of cracker jack beer! Love it!! 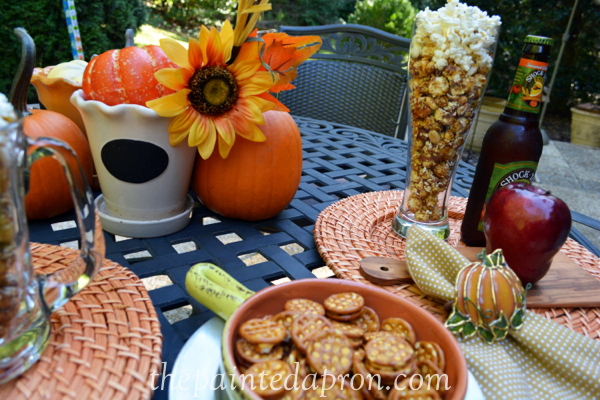 Great Octoberfest table, Jenna. Love the steins filled with popcorn! 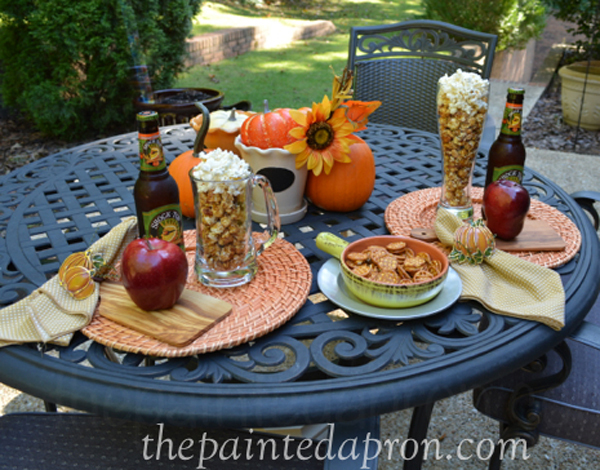 Great oktoberfest idea! OMGosh the steins are the best!!! How cute! 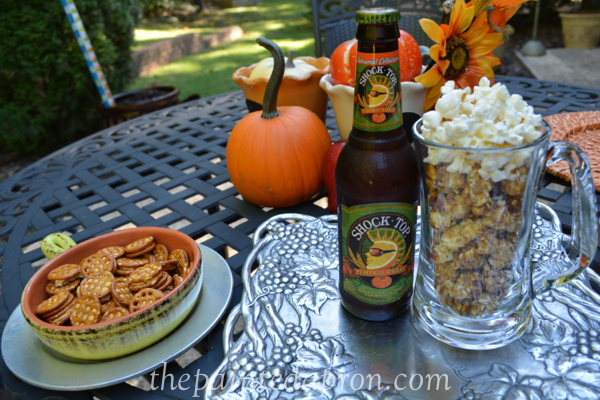 When I saw “popcorn beer” I actually thought it was popcorn beer, because I know Shock Top makes some unusual one. I know they make a pretzel beer. Cute, cute, cute. 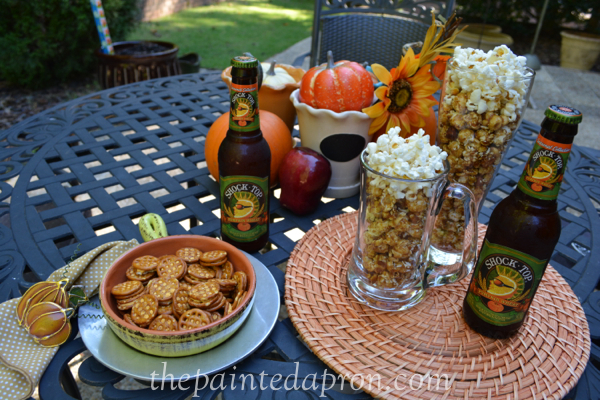 I do love me some beer. . .and salty snacks are yummy too. 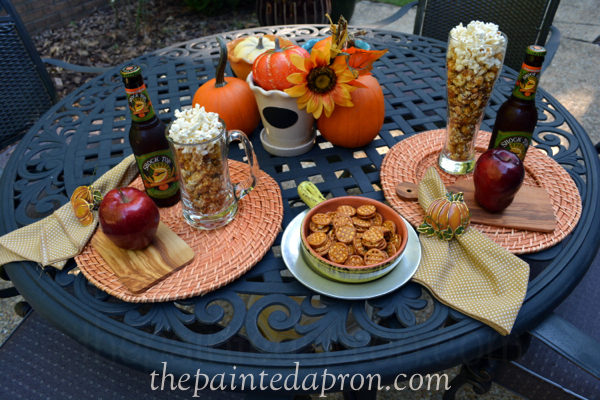 Your Fall Octoberfest tablescape is wonderful. I’ll have one of the kid beers, please! How cute!!! What an ace idea! Pinning that one for sure!!! Adorable table, now that is one for the guys too! Hubby would be grabbing handfuls of popcorn! lol Love this!